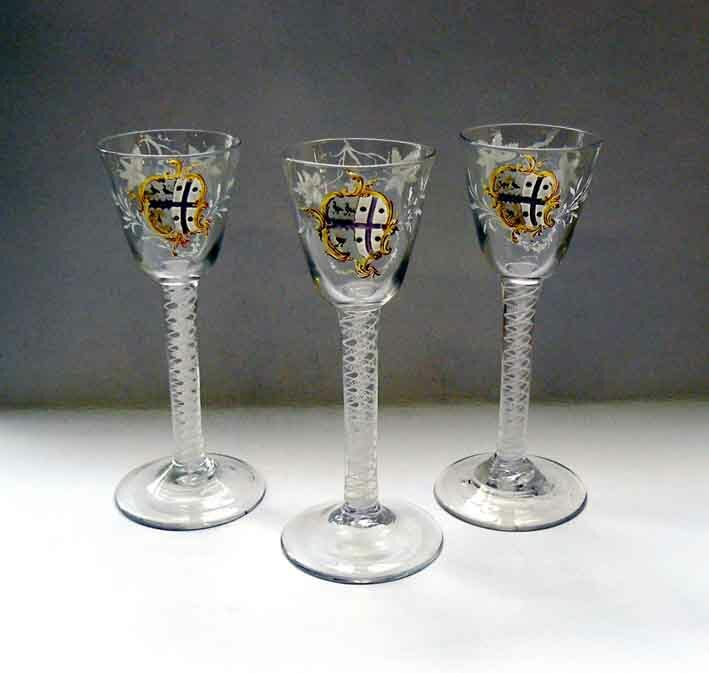 This category includes British and Continental drinking glasses such as early Venetian examples, 18th century British lead glass with engraved decoration and highly decorative 19th century Bohemian glasses. It also covers glass bottles, decanters and other collectable vessels. Another much collected areas include art glass from the Art Nouveau and Deco periods by known designers such Emile Gallé and René Lalique. Based in one of the great centres of English glass, Fieldings (20% buyer’s premium) of Stourbridge has been building its reputation for glass sales over the past 15 years and today “nobody sells more glass than we do”, says specialist Will Farmer. Some time in the early 1930s, the burghers of Norwich City Council appear to have been sufficiently cutting-edge as to purchase furniture by the designer destined to become one of the major names of 20th century design, Alvar Aalto (1898-1976). Rather sparsely catalogued, this unusual 14in (36cm) Lalique glass dish with a lovebirds design had emerged from a local unpaid storage unit into Hannam’s (23% buyer’s premium) February 18-20 sale in Selborne. Given a here-to-sell estimate of £150-200, it took £4200. Plenty of French art glass features in Woody Auction’s March 9 sale in Douglass, Kansas, including this bowl by Daum. Two Victorian stained-glass and leaded window panels entered by the same vendor trebled the estimates in selling to the same UK online bidder at Special Auction Services (17.5% buyer’s premium) on February 5. An Alicante jade green vase was the top lot at a single-owner sale of René Lalique glass at Bonhams Knightsbridge. It sold for £35,000 (£43,750 inc 25% buyer’s premium). A unique example of Emile Gallé’s glasswork created as a special piece features in the 20th century decorative art sale held by Gros & Delettrez at Drouot on March 8. Group amassed over 20 years now going under the hammer at Bonhams is attracting worldwide interest from would-be bidders. Bonhams is offering a single-owner collection of René Lalique glass in its Knightsbridge rooms on February 20. Serendipity had it that two important, but scantily catalogued, lots of European glass emerged for sale in the south of England in early January. Janice Kehoe of Solo Antiques offers a French Art Deco vase signed 'R Lalique' at this month’s Pavilions of Harrogate Decorative Antiques & Fine Art Fair. Serendipity had it that three early pieces of European pottery and glass – two of them dated – were offered for sale across a trio of English regional auctions in a matter of days in December. Glass specialists Liz and Mike Flatter will be first-time exhibitors at the IACF Shepton Mallet antiques and collectors’ fair at the Bath and West Showground on Friday to Sunday, January 18-20. Well-known and rare glass designs feature in the 200-plus lots from a single-owner collection for sale at Special Auction Services on Tuesday, January 8. Mark West deals in 18th, 19th and 20th century glass designed to be used. He will exhibit at The Mayfair Antiques & Fine Art Fair from January 10-13, 2019.